Immigration to Canada is going to be quite an important event in 2018. Canada has increased its immigration target for the year 2018. Moreover, as per Canada’s multiyear immigration plan, it is going to accept about one million people as permanent resident by 2018. This certainly is a huge number and need proper immigration procedure and programs in place to make it possible. This whole immigration event can become successful if concerned government authorities and applicants both coordinate well and abide by the process guidelines. 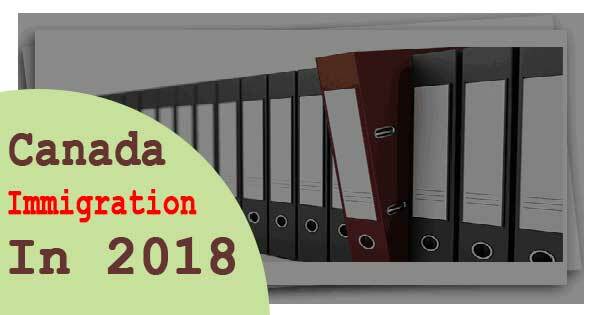 What you need to do as an applicant of Canada Immigration in 2018? If you have decided to settle in Canada in 2018, you must make consolidated efforts to make your application successful this year. The first thing is to gather information from all sources and get ready from all aspects of eligibility parameters. You may also choose to hire a genuine and trusted consultant for immigration and visa process. Here are some key steps you can take to prepare your immigration file for Canada. Whichever pathway or immigration program you choose to apply Permanent Residency Visa as skilled worker in Canada, the two documents would be required by most of the programs, i.e. IELTS Test for English language: You must give IELTS Test to confirm your proficiency level in English language. You need to have test result documents with you to apply. You may also opt for French language proficiency test, if you know French well. ECA from WES: You must get Educational Credential Assessment (ECA) report from World Education Service (WES) or any other recognized institution. ECA is required by the IRCC (Immigration Refugees and Citizenship Canada) to verify your educational obtained outside Canada. Express entry System is the fastest and largely popular immigration system in Canada to obtain Permanent Residency visa. It follows an online and point based system of immigration. The applicants have to register their profile in express entry, where their profile gets points score from IRCC. The successful applicants receive ITA (Invitation to Apply) for Canada PR. Once you have received Invitation to Apply (ITA) via Express Entry System or any other Canada immigration program, you would require to submit following key documents, i.e. Get all your documents ready and make your immigration file complete well in advance, so that you can apply in any of the Canada immigration programs, i.e. Express Entry, SINP, OINP, NSNP, AINP, etc. If you seek thorough advice, assistance and complete documentation support to apply Canada PR in 2018, you may get in touch certified and most experienced immigration expert at Visas Avenue immigration. You may call the Canada immigration expert at Toll Free Number- 78-18-000-777 or you can e-mail your queries to info@visasavenue.com.